Belfast native Patrick Barron “Paddy” Hopkirk is one of Northern Ireland’s most successful sportsmen thanks to his illustrious rallying career. Paddy was a professional racing and rally driver in the sixties and seventies. 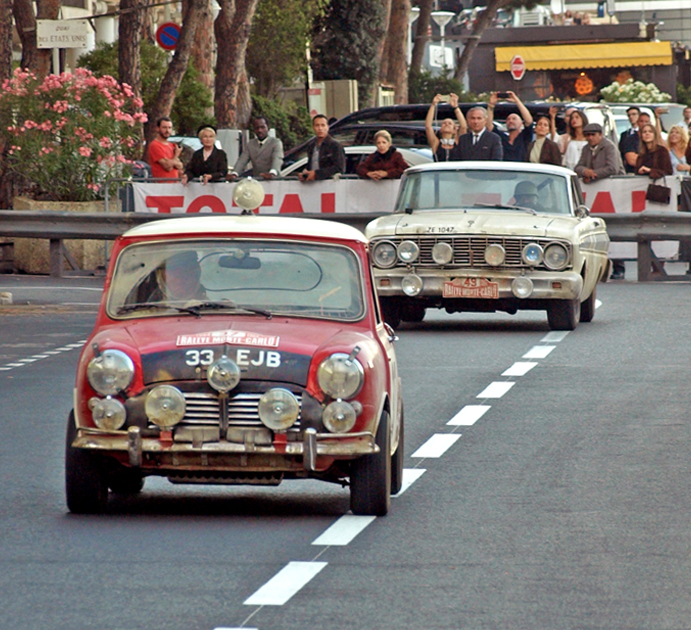 He has tasted success in many motorsport events worldwide but gained notable acclaim for his the momentous victory as the winner of the 1964 Monte Carlo Rally in 33 EJB, a Mini Cooper. 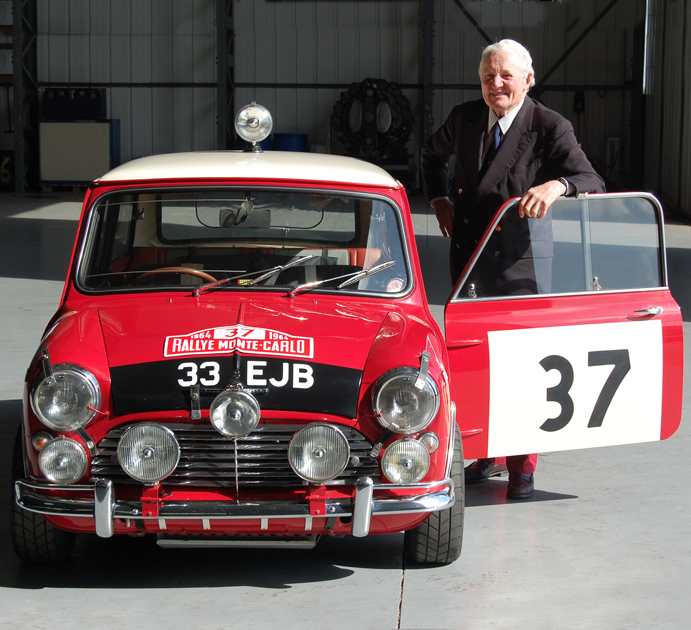 33 EJB has become an illustrious icon, which defines both the success of Paddy Hopkirk and Mini in the golden era of Rallying. This exact replica of the iconic car was built complete and to original specification of the 1964, 33 EJB (33 BBL) by the late Graham McConnell. The car is now owned by Paddy Hopkirk himself, who when reunited with the model described it as “Better than the car at Gaydon” and drove the car across Belfast for the 50th anniversary of his most prestigious win. Now homed and lovingly maintained at Mini Sport. 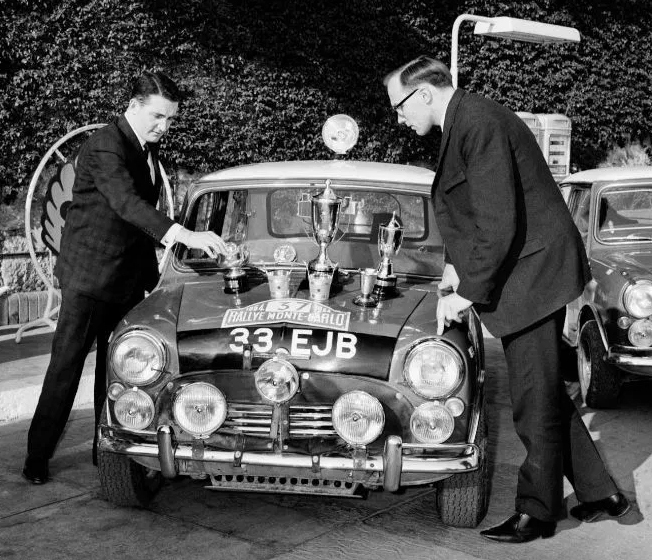 In 2017 33 EJB (33 BBL) became a star in it’s own right when it bagged the lead role in MINI’s ad ‘The Faith of a Few’, which depicted Paddy Hopkirk & Henry Liddon’s iconic 1964 Monte victory. Covering much of the same route as in 1964, ‘The Faith of a Few’ won the hearts of Mini fans and critics the world over, even being honoured with 4 very prestigeous awards at Cannes Lions International Festival of Creativity in 2018.